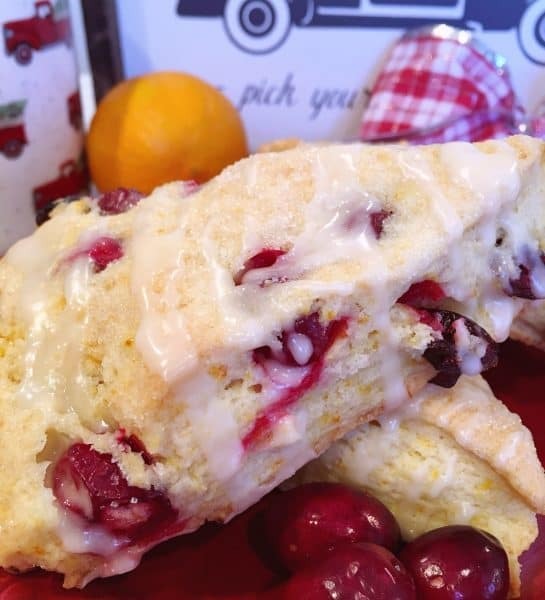 If you’re looking for an AMAZING scone recipe…look no further! 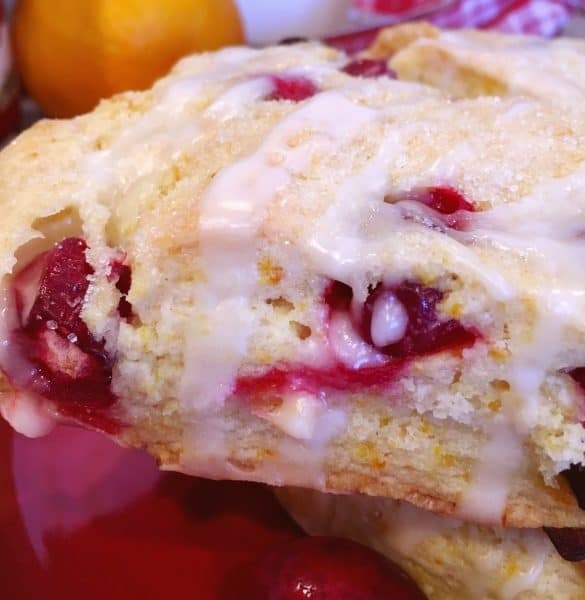 This Cranberry Orange recipe creates a puffy, tender, exceptionally moist and flavorful scone! They’re truly perfect in every way! I’m so excited to make these again for Christmas morning! Best part? 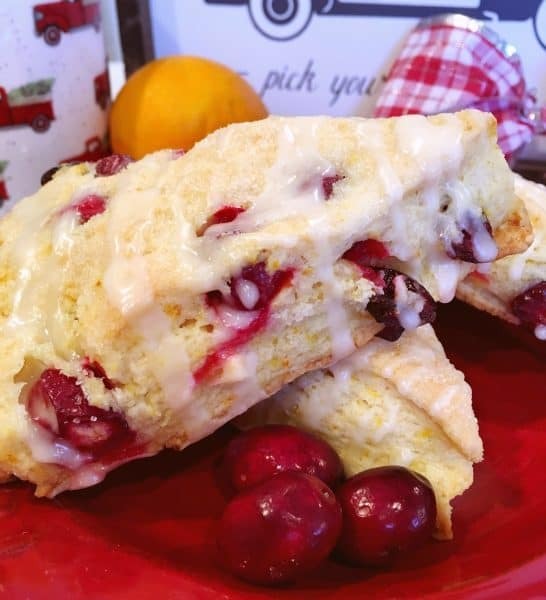 You can make them ahead time, freeze them, pop a few of them in the microwave Christmas morning for a minute… and you’ll have scrumptious light moist scones that taste like you just pulled them out of the oven! Hooray!!! Scones should be tender and moist! They should never be crusty over-sized Croutons! To help you avoid gigantic croutons I’m going to share two of my biggest tips for making exceptionally moist scones! 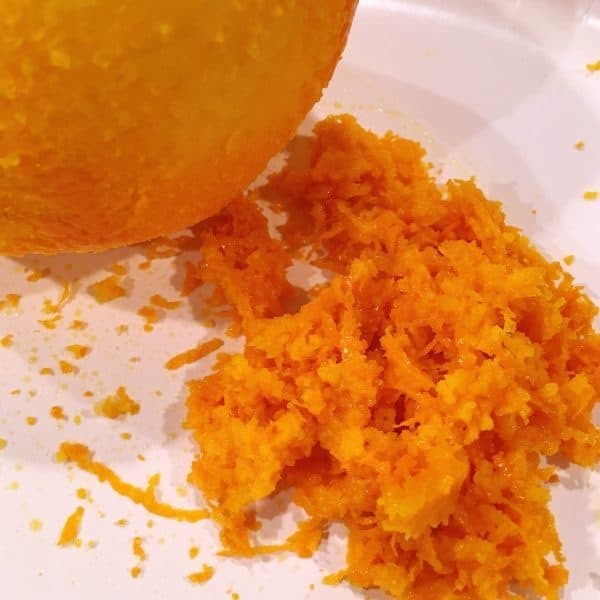 Next prepare the fresh Orange Zest by grating the zest of one large orange. TIP: For the BEST Orange zest pick an orange with a bumpy thick “meaty” skin. This is the opposite of when you are purchasing oranges for eating. Generally you want an orange with a smooth thin skin for eating. Not so for Orange Zest! 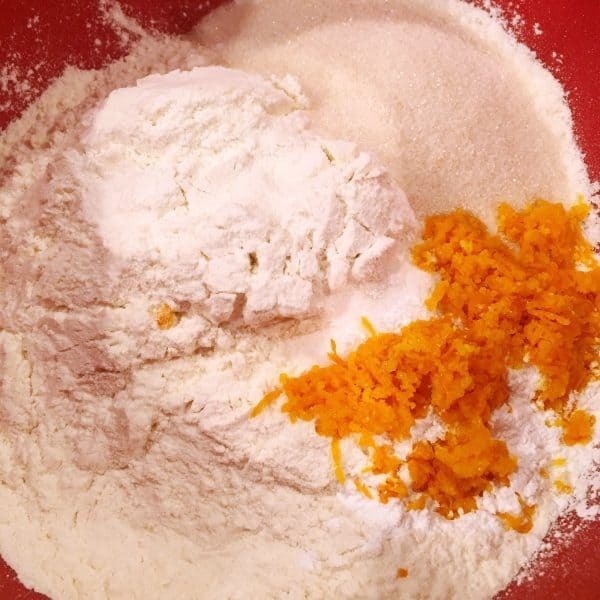 In a medium bowl add 2 cups of flour, 1/3 cup sugar, 1 1/2 teaspoons baking powder, 1/2 teaspoon salt, and orange zest from one medium orange. 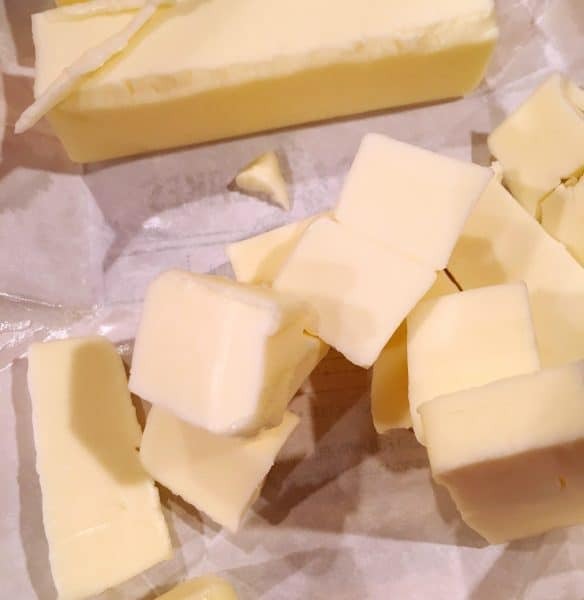 First time I made these…I cut the butter into small cubes. The smaller the better. It makes “cutting” them into the dry ingredients easier. Second time I made a double batch and I grated the butter! I HIGHLY recommend this method! It made cutting the butter into the flour a breeze! And we could all use short cuts at this busy time of year. 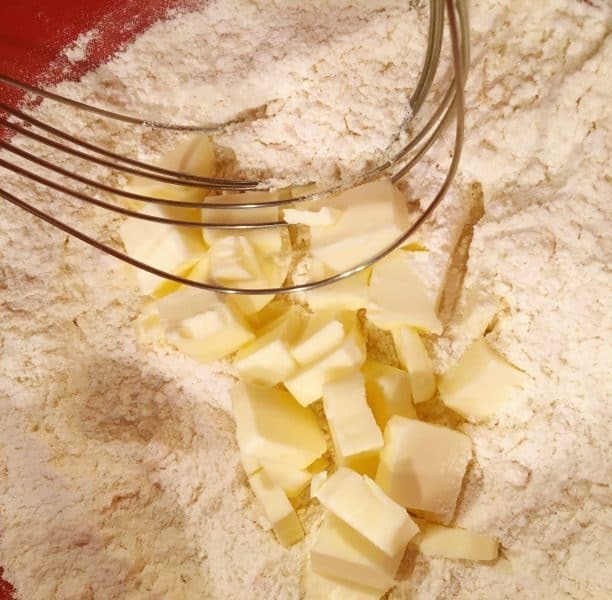 Add the cubed or grated butter and cut it in with a pastry blender. One recipe I read said you could use two knives to do this? Perhaps if you’re Edward Scissorhands! Otherwise….No freakin’ way! 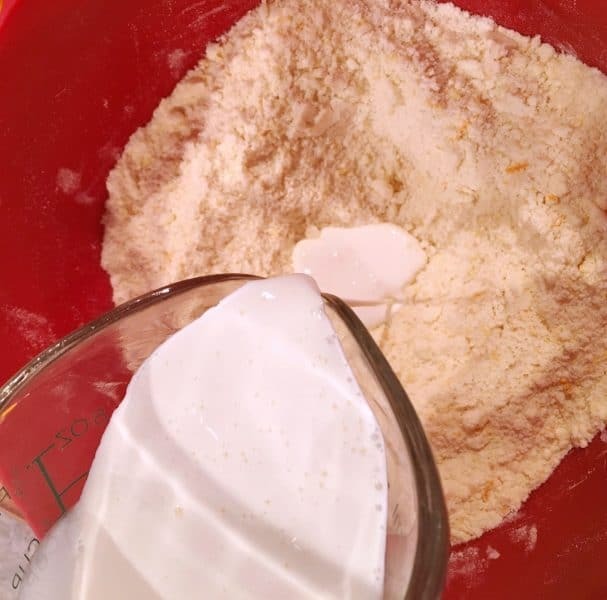 Add 3/4 cup heavy whipping cream…mix together until the dough begins to gather together into large clumps. Add 1/3 cup fresh cranberries and 1/3 cup dried cranberries. 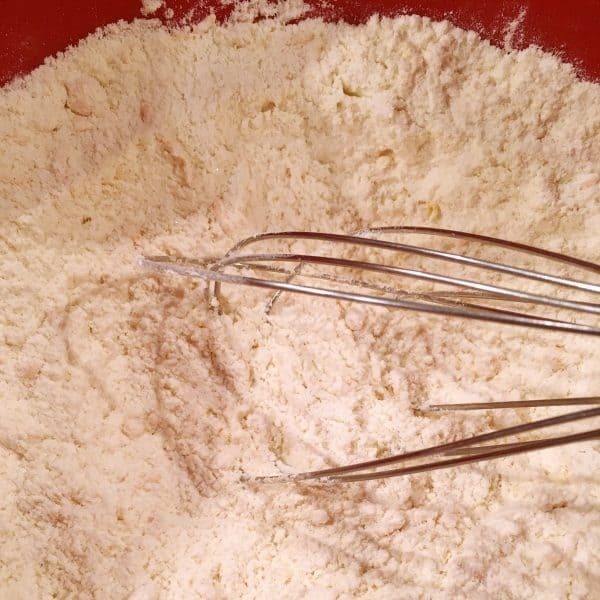 Mix by folding the ingredients together with your hands, also known as “Kneading”…if your name is Julia. If it’s Norine…it’s mulching the ingredients. I do this in the bowl! It’s much easier than using a spoon. Gently “knead” until everything is well combined. I love my dough disc that I purchased from Amazon. 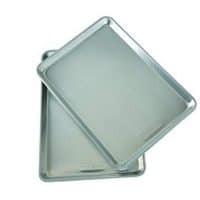 I use it for every dough that needs to be rolled out…cookies, pie crust, biscuits, and rolls…it’s one of my favorite kitchen tools and it’s used a LOT! You can check them out HERE! 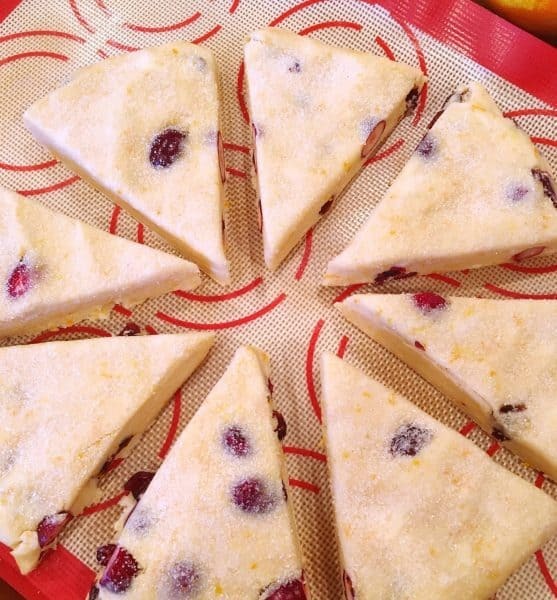 Using a sharp knife cut into 8 triangles…don’t worry about those whole cranberries…just cut right through them. Sure I told you to be nice to them when patting them…when it comes to cutting them…show no mercy! 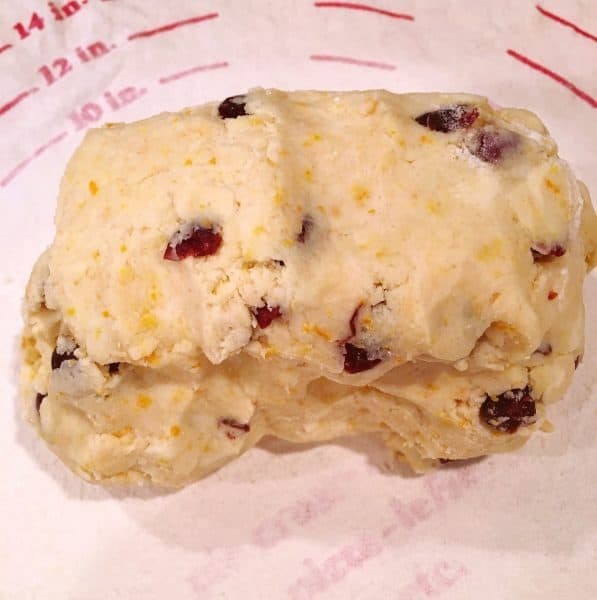 Place scones on parchment or silicone lined baking sheet about a half-inch apart. Place in 375° oven on the center rack for 20-25 minutes until lightly golden brown. Aren’t they beautiful! Big and fluffy filled with tender tart cranberries! I drool just thinking about them. Remove from oven and allow to cool while you make the glaze. 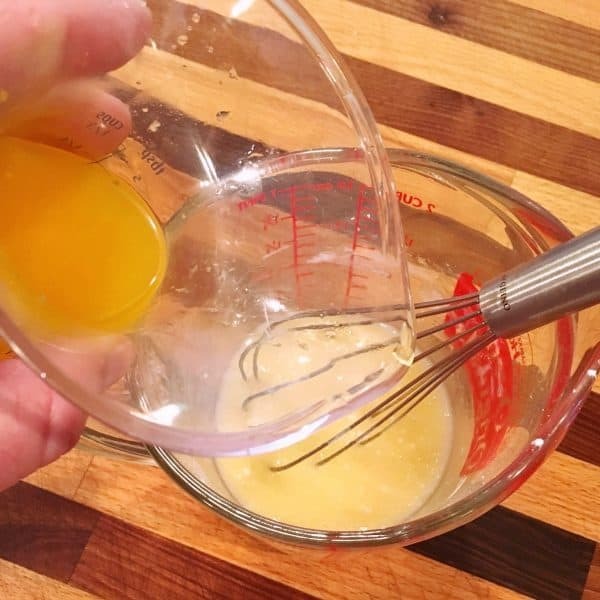 In a measuring cup, or glass bowl, add 3/4 cup powder sugar and 2 Tablespoons fresh orange juice…Remember that orange you grated the zest off of…use that for “fresh” orange juice in your glaze. It’s amazing! Mix until smooth and creamy! Drizzle orange glaze over scones! 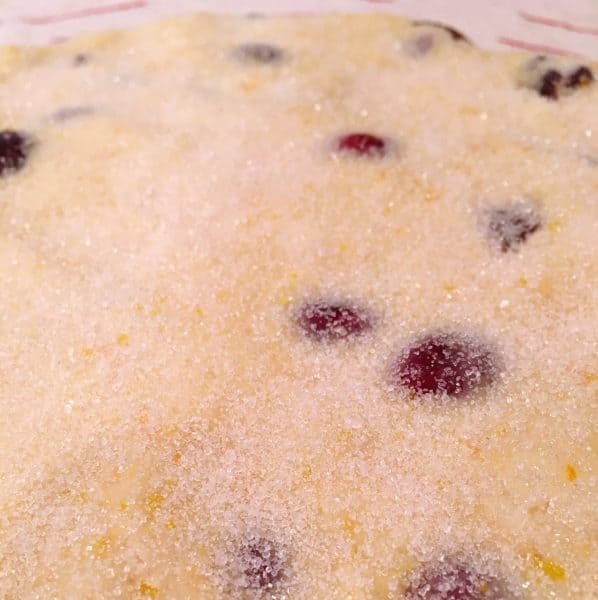 Now for the fun part…break into those triangles of lusciousness and dig in! I love the combo of both the dried and fresh cranberries. 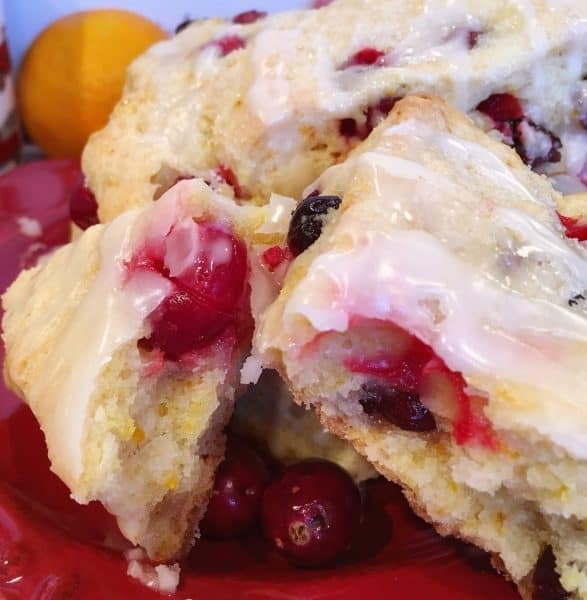 I can’t say this enough…It’s an amazing Scone! They’re loaded with SO much flavor! 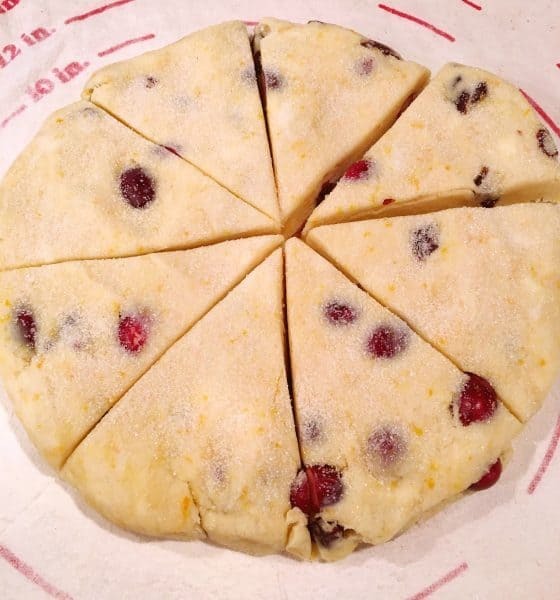 Every bite is filled with the fresh winter flavors of orange and cranberry. They’ll make you forget about sub-zero temps and all the snow on the ground! They also go great with a big cup of hot spiced cider on Christmas morning. Another bonus… you can store them in a zip-lock storage bag or freeze them and pull them out when you want a little slice of heavenly bliss! 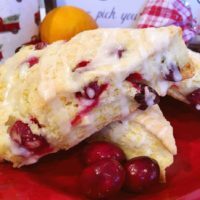 Say good-bye to those over priced scones at a certain favorite national coffee shop…you can have Cranberry Orange Scones whenever you want! Really, REALLY good scones! Scones your husband will eat! Whoa! So they’re like “Miracle Scones”! You know you want to bake a batch of Miracle Scones! Sharing these delicious scones on my favorite link parties. Click on the link to join the fun. Thanks for stopping by my Nest this Holiday Season! I hope the chicks at your Nest will love these scones as much as we do! 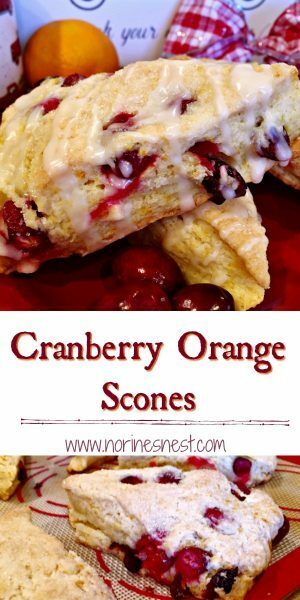 Light buttery moist scones loaded with hints of orange zest, fresh and dried cranberries with a fresh orange glaze. Preheat oven to 375° degrees. 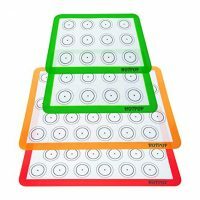 Line a baking sheet with parchment or silicone baking sheets. 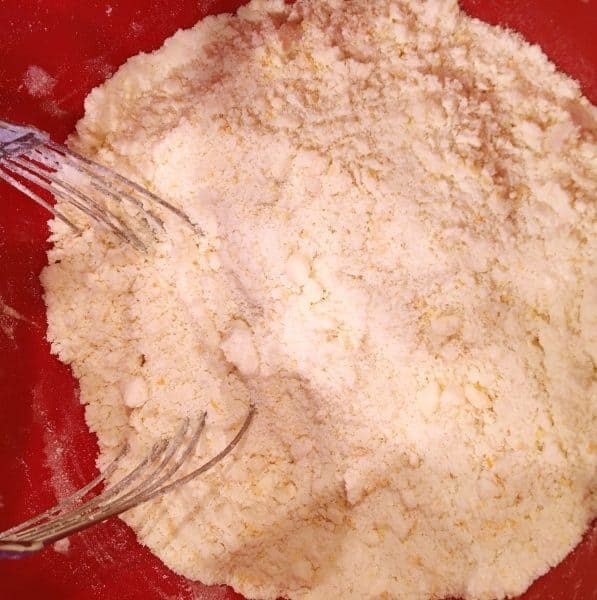 Place the flour, sugar, orange zest, baking powder, and salt in a medium bowl. 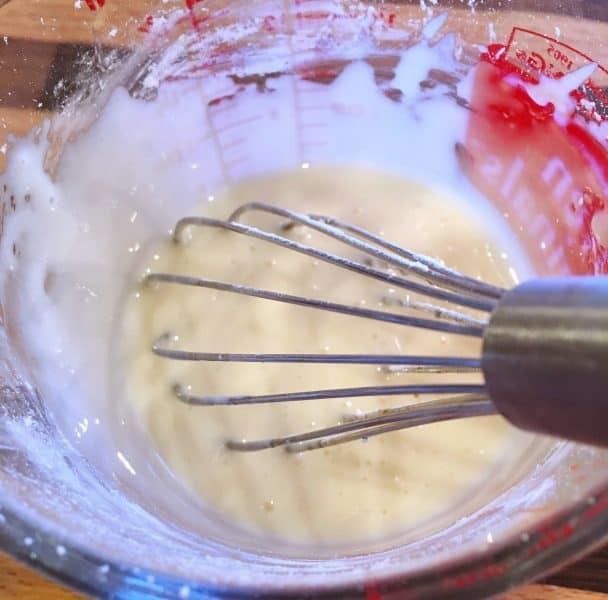 Mix with wire whisk. Grate or cut butter into small squares and cut into flour mixture with pastry blender until mixture resembles coarse crumbs. Add in 3/4 cup of heavy whipping cream. Mix until mixture begins to form large balls. Mix with hands until ingredients combine and come together. 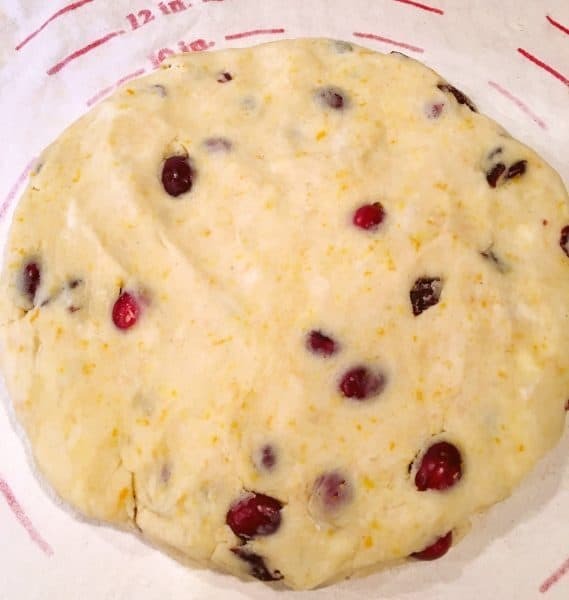 Add in dried and fresh cranberries. 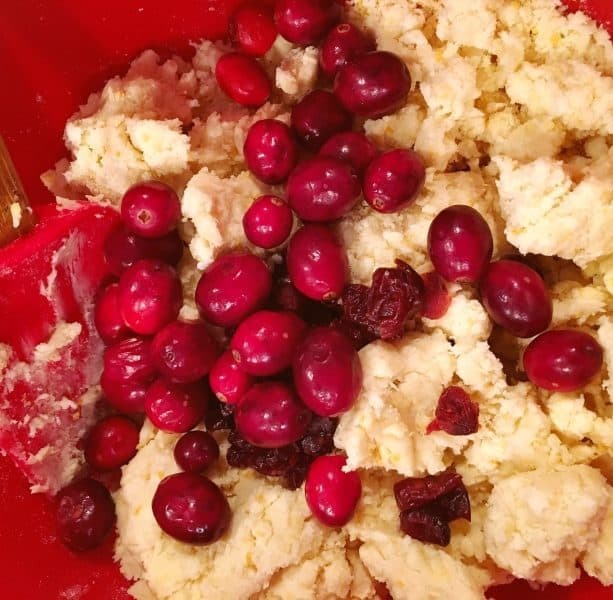 Gently knead cranberries into dough in the bowl. 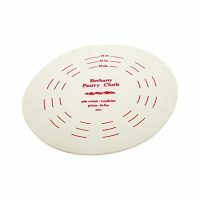 Place on floured surface and pat into a 10 inch circle a half inch thick. Sprinkle with sugar. Cut into 8 triangles. Place on lined baking sheet. Bake for 20 - 25 minutes or until scones are lightly golden brown. Remove from oven and cool. While scones are cooling make orange glaze by mixing 3/4 powder sugar and 2 Tablespoons Orange juice until smooth. Drizzle over top of scones. Serve immediately, store in zip lock bags, or freeze. 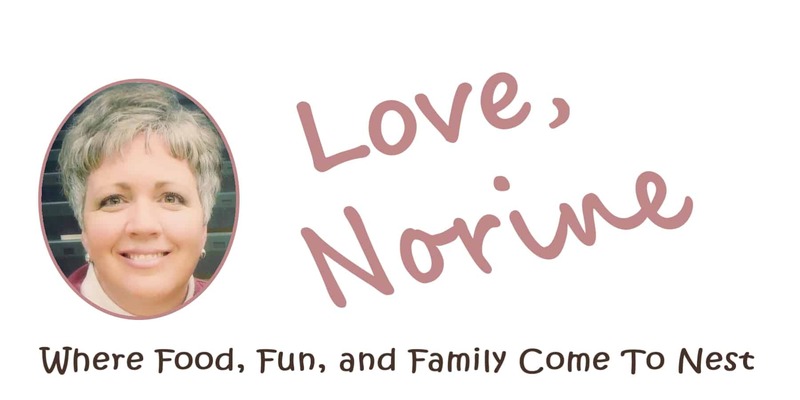 Thank you for sharing this delicious recipe Norine! We are having guests over Christmas into the New Year. Our oldest is getting married and wanted the lights and sparkles of Christmas :)! These will really come in handy – especially because I can freeze them – and they are so festive looking. I LOVE cranberry/orange scones – can’t wait to make these! Thanks for sharing the recipe. You are in for a real taste treat! 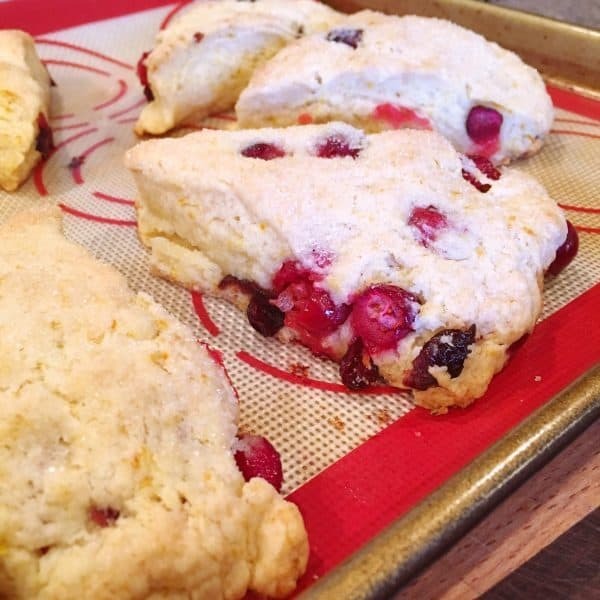 I seriously made three batches of these scones last week and we pigged out on them. Thank goodness Christmas Calories don’t count! lol Thanks so much for stopping by and visiting with me an d let me know how you like these tasty scones.